Little House Home Arts: Quilting, A New Winter Sport? I hate to see the leaves falling from the trees. It has been so beautiful here in Vermont. 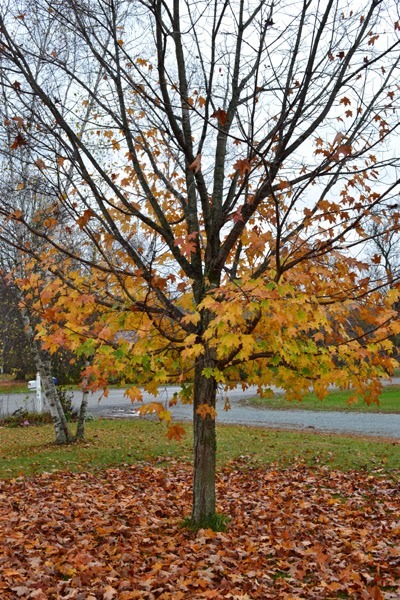 We are quickly moving into late fall, and of course, what comes next is winter. I often think that Christmas should come at the end of winter instead of the beginning. It is wonderful to anticipate and prepare for the holidays, but once they are over it seems that the winter season is like the one in C.S. Lewis's book, The Lion, The Witch and the Wardrobe, "always winter and never Christmas". So why did we move to the north? I am still wondering, though the spring, summer and falls here could not be more beautiful! Winter is pretty too, at least the first month of it, but after that I am ready for spring, months before the white season disappears! Though I think that winter will be a great time to work on quilts, I do wish we could have the sun shine outside as well. I am in a Vitamin D-free treatment. Yes, a person can live without vitamin D, at least for some of us that have a dis-regulation of it, though it is still nice to see sunshine outside! I feel a bit glum when the skies are gray! Although I have fond memories of ice skating, sledding, and skiing, this year quilting will be my new winter sport. 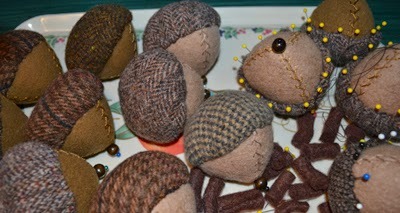 Small acorn pincushions in process. Not only is the season changing but our household is too. As I continue to prepare for my holiday shows and will soon start sewing on some personal projects for Christmas, I am finding myself in the midst of big changes here at home. My oldest daughter that is still living with us, is quickly becoming attached to a very nice young man. Although I have a tendency to count my chickens before they hatch, it is not hard to see that if this relationship becomes permanent, I may gain a son-in-law AND step-grandchildren for her friend is a widower with three children. I will not rush the process but rather concentrate on the changes that this brings to our own household right now. My daughter, spending more time with him and his family, is around less to cook dinner and this means that I need to re-cultivate my long-lost cooking skills. I have just written about how difficult it was to think of preparing a meal for company, and returning to cooking every day also seems overwhelming. 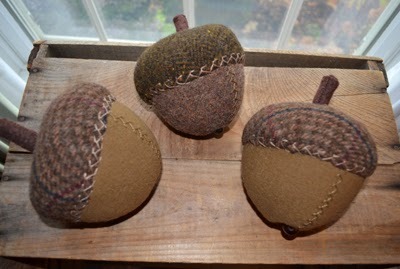 I have been too happy to step out of the kitchen and into a life a sewing. Quilting is my winter agenda, and so I am scouting on pinterest to get new ideas of making meals ahead of time and/or finding easy crock pot recipes, like I used to do when I was working full time. It has been so nice to have a daughter who loves to cook and try new recipes. Our styles are different as I require quick and easy-to-fix meals that conserve my energies for what I enjoy most, which is NOT cooking. 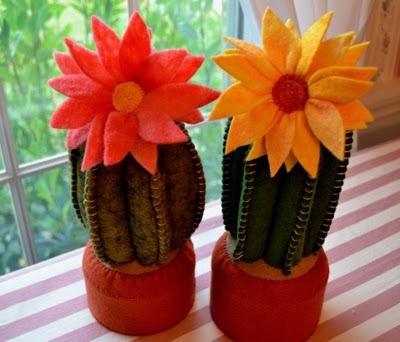 Cactus pincushions, ready for market. Cheerful and bright for the winter! We have acquired a used chest freezer in our newly cleaned garage and my daughter and I are scheming and dreaming of doing cook-a-thons to prep meals to freeze ahead so we can heat and eat them with little to distract us from our goals. Yesterday I tried a very easy casserole that was delicious. It was a buffalo chicken tater-tot casserole, not exactly health food but oh so delicious!! I do love Pinterest for all of their ideas and am building a file of quick and easy recipes--all gluten free! Some of my readers have heard of my plight and sent me some of their easy to fix recipes as well! I appreciate them all and meanwhile my husband is stocking up on Sriracha Sauce and ketchup, his favorite condiments to doctor my cooking! Labels: quick and easy meals;crock pot meals; quilting-- a new winter sport.